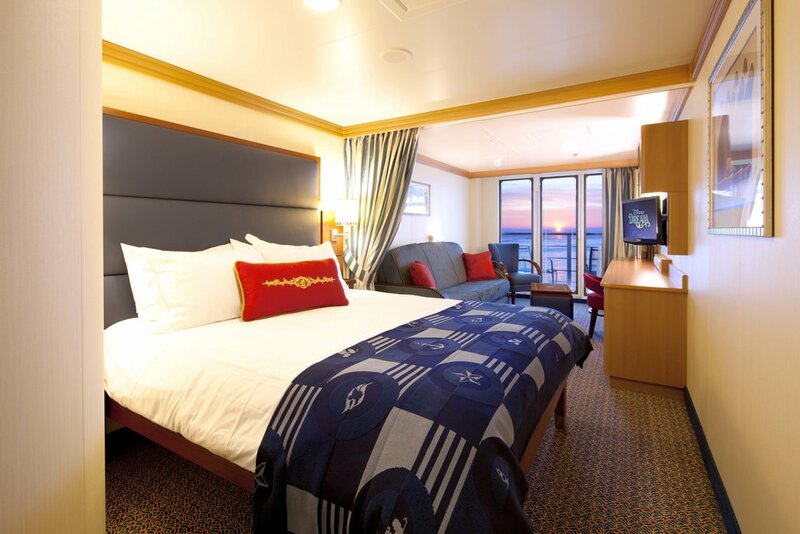 Our cruise expert knows all the ins and outs of cruising with Disney Line Cruise. So before you set foot on a DLC ship, make sure to study up so that they aren’t any surprises to ruin your magical time. Port upgrades are not free. There’s a secret formula that Disney uses to determine what to charge each party, depending on the room category booked, the upgraded room category, and number of nights/itinerary. To my knowledge, no one has managed to crack that code. Thus, you can’t find out the cost ahead of time. To try for an upgrade, you must first check in at the counter like normal. After you’re done, you should go straight to the supervisor's counter. At the two ports where I have sailed from (Galveston and Port Canaveral), this counter is all the way down at the end of the line of check-in agents. If you’re not sure where to find it, just ask the agent checking you in, and he’ll point you in the right direction. Once at the counter, ask if there are any upgrades available. If there are, the supervisor will look at a chart to determine what it’ll cost you. If you accept the upgrade, the cost will be charged to your onboard account, and you’ll get new room keys. DCL should take care of redirecting your checked luggage to your new room. I have heard reports of this happening correctly and also not happening at all. If your luggage hasn't arrived at your new room after a while, I suggest going to your old room to see if it’s sitting outside of the door. It would seem to make sense that you should get to the port as early as possible, as that’s when most upgrades would be available. However, if you can't be there right when it opens, don't lose hope. People who are upgrading before you may open up rooms that are still at a higher category than yours. The photography on Disney Cruise Line is managed by a separate company called Shutters. It has photo opportunities set up all over the ship, as well as at the port and Castaway Cay. Photographers take your photo, which is then linked to your photo account through either facial recognition or by swiping your room key. At any time during your cruise, you can visit the Shutters area on the ship (mid-ship, adjacent to the atrium) and view your photos on a computer screen by swiping your room key at one of the kiosks, or you can find prints of your photos in the binder designated for your room. Note that the facial recognition software is not foolproof, so try and remember each time you have your photo taken without swiping your room key and then make sure those photos shows up in your account. If you notice you’re missing a photo, ask a Shutters employee to help you find it in the system and add it to your account. It’s usually a pretty simple process. There are different packages available for purchase that offer both printed and digital photos. You can make your purchase at any time during the cruise and even change it at a later time if you wish. You can purchase photos either at the Shutters counter (prints and/or digital) or at one of the Shutters kiosks (digital only) on the ship. The amount is charged to your stateroom account. For printed photos, you can take them with you as soon as you purchase them (and are allowed to return them later if you change your mind). For digital photos, you receive them on either a CD or flash drive on the final evening or final morning of your cruise. I will warn you that Shutters is a madhouse on the final evening and final morning, so I try to complete everything that I can as early as possible in order to minimize my time there on the final evening and morning. Also, you must purchase your photos while on the ship. Once you leave the ship, you’ll no longer have access to your un-purchased photos or the ability to buy them. Also note that the Shutters photographers stop offering photo opportunities on the last full day of your cruise, so that they can begin making the CDs for people who want to buy all of their digital photos. The Shutters digital photo packages are sold per stateroom. This means that if an extended family of 20 is sailing together in six different staterooms, they can’t buy one photo CD with photos from all six rooms. However, Shutters does make an exception for nuclear families (mom, dad and kids only - no aunts, uncles or grandparents who are in different rooms) who are sailing in two separate rooms. If this is your situation, you need to visit the Shutters counter as early as possible during your cruise and make sure that the employees are aware that you qualify for the exception. For the situation in which extended families are traveling in multiple rooms, here’s how it works: if one person from a stateroom is in a photo, then that photo will appear on that stateroom's CD. So if Mom, Dad, and kids are in one room and grandparents are in another, then any photo in which either Mom, Dad or a single child appears will be in Mom/Dad/kid room's account. If Mom, Dad, kids, and grandparents are all in a photo together, that photo will show up in both rooms’ accounts. But a photo of just the grandparents will not show up in Mom, Dad, and kids’ account, and likewise a photo of just the kids will not show up in the grandparents’ account. Phew! 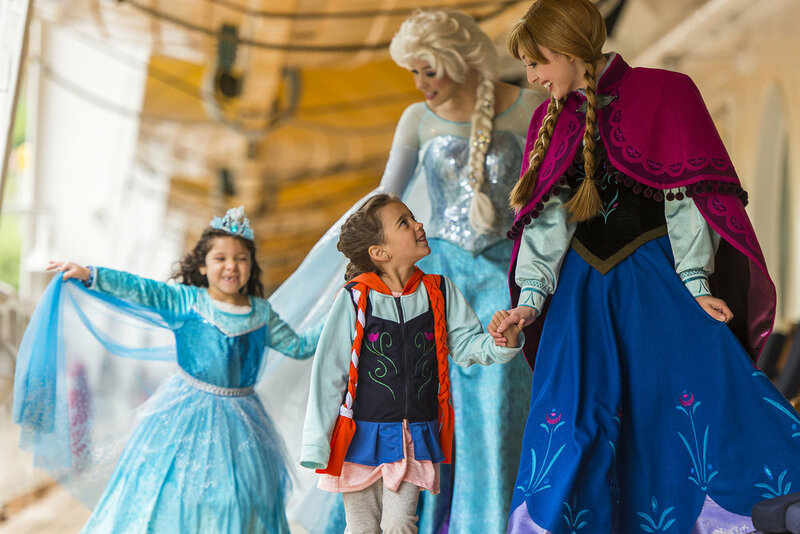 Disney Cruise Line recently began allowing cruisers to reserve specific time slots for both the Princess Gathering and the Frozen Characters Meet and Greet before they set sail. You can do this online once your booking window opens. 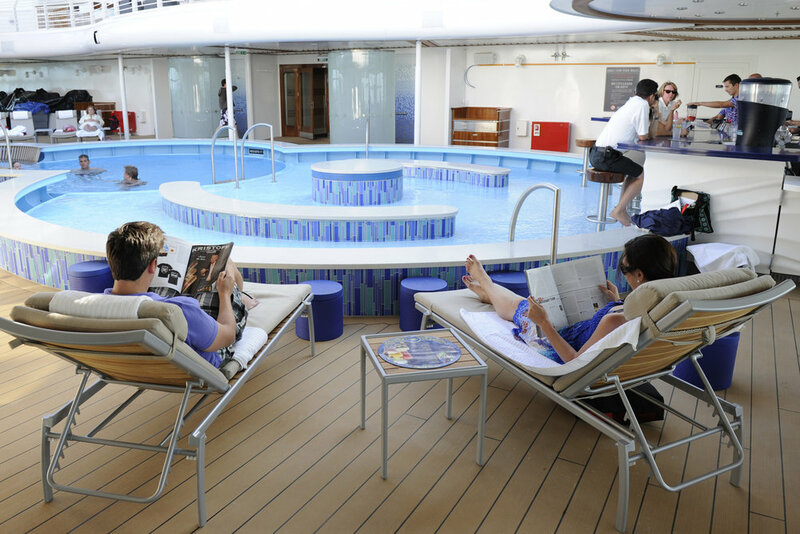 This welcomed change allows you to spend almost no time waiting in lines and more time enjoying your cruise. There’ll be be dozens of daily opportunities to meet other Disney characters (including individual princesses) that don’t require reservations ahead of time and typically have short lines. Disney Cruise Line's internet service is called Connect@Sea. There are different packages that you can purchase that will allow you to do things like check email, use social media, and surf the internet. Services that use a lot of bandwidth, such as FaceTime, watching videos, and gaming won’t work onboard. If you use up all of your data allowance, it’s easy to purchase more. You should receive printed instructions in your stateroom, and I suggest that you read them very carefully. The instructions will tell you all of the settings that you need to check on your device, so that you don’t unintentionally use all of your data. Things like automatic updates, if not turned off, can use up all of your data within minutes. If you have questions or encounter any problems, there’s also a Connect@Sea help desk on every ship. 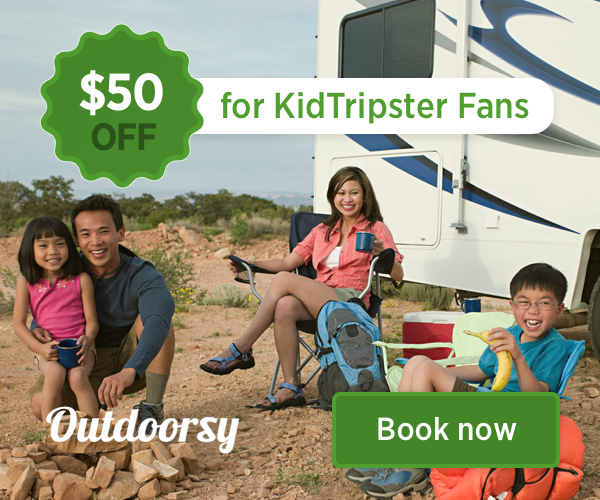 KidTripster Tip: Be sure and sign up by midnight on the first day of your cruise (the day you board, not the first full day) in order to get free 50 MB of data. This offer will be listed in the daily navigator that you receive at the port when you check in. If you need to do laundry while onboard, you have two options. 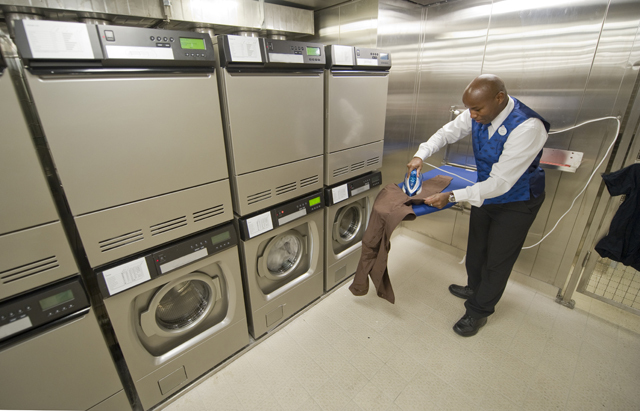 Each level of the ship that has staterooms has at least one laundry room, where you can swipe your room key to operate the machines and buy detergent. Irons, which are prohibited in staterooms, are available here as well. Another option is to send your clothes out to be laundered and/or pressed. In the closet of your stateroom, you’ll find a laundry bag and order form with listed prices. The prices are actually reasonable, and the service offers a pressing only option. The basic service is next day, although you can pay more for same day or 3-hour service. You’ll encounter many people during your cruise who’ll provide excellent service and go above and beyond to make your vacation magical. For some of these people, such as your dining room servers, your gratuities will be automatically charged to your onboard account. Other gratuities, such as room service waiters, are paid at your discretion each time that you place an order. Still other gratuities, such as for beverages purchased from a bar, are automatically added to each purchase. Knowing all of these details before your cruise can reduce confusion onboard and make your cruise more relaxing. To read all of the ins and outs of tipping on a Disney cruise, click here. Diana Smith is an expert cruiser. She and her family, including her three Disney princesses, have set sail on seven Disney cruises. For more, check out Disney Cruise Mom.